Canola fields are being assessed for sclerotinia stem rot risk, especially with decent moisture, dense canopies and good yield potential. We have tips this week on how to assess the risk in each field. Tomorrow’s webinar with Kelly Turkington will help answer more of your questions. 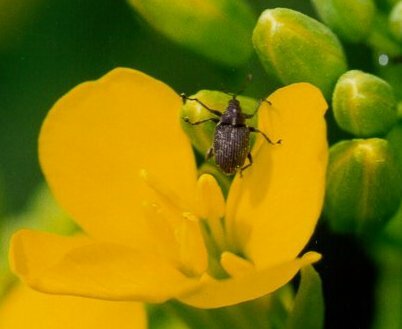 Growers are reminded to include lygus bugs in their insect scouting. 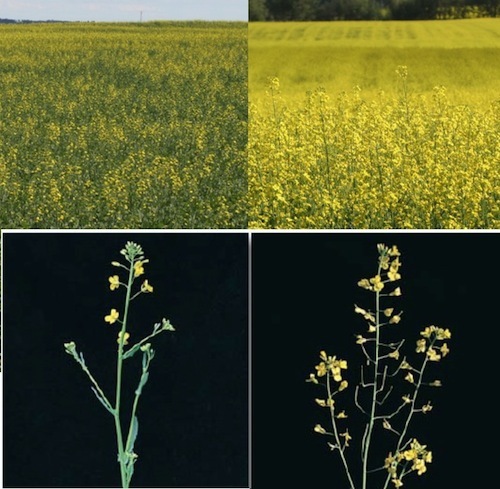 What is the bloom stage of the canola in these photos? Take the short quiz to share your answers. Growers who usually spray twice may not need to spray a second time this year if the canopy has closed, weeds are behind the crop, and the recommended application window is past. If the opposite is true, growers have to decide whether weed competition costs exceed potential yield loss. 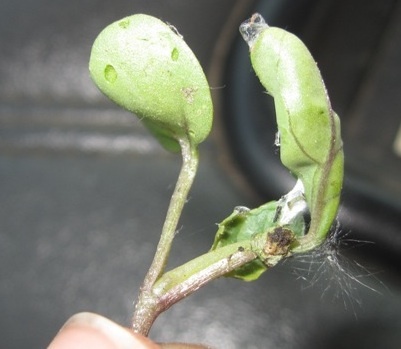 Moisture is the key factor in sclerotinia stem rot risk. Good soil moisture and a few rains in the period starting two weeks before flowering and carrying through to infection after flowering will greatly increase the sclerotinia risk. Fungicide sprays, if applied, need to go on canola at between 20% and 50% flower. See this week’s photo quiz for a hint at what these stages look like. When topping up with liquid fertilizer, the ideal is to apply when leaves are moist from early dew or a light rain so liquid nitrogen fertilizer runs off quickly. Applying when hot and dry can increase absorption of liquid into the plant, increasing the amount of burn. Consider adding some extra water to the tank in these conditions if waiting is not an option. Use straight stream applicators, not fan nozzles, and use some pressure to drive the stream to the ground. Keep in mind that windy conditions may disrupt the streams and lead to increased plant coverage and potential for damaging greater leaf area. Lygus monitoring has begun and so far the threat seems minimal for most fields. That can change quickly. 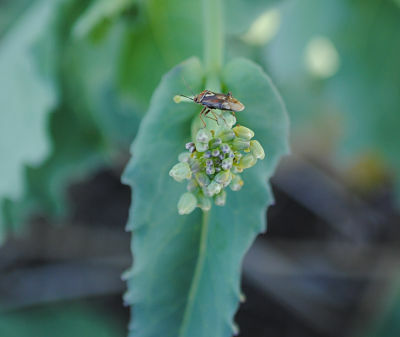 Probably too early to spray cabbage seedpod weevil, diamondback continue feeding, bertha moth numbers are high in some regions, cutworms near the end but still active, and always think about those valuable beneficials — like those helpful killers, the lady bugs. 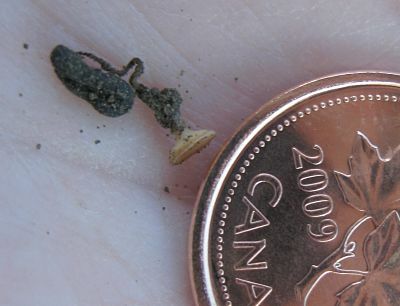 Cutworms continue feeding, flea beetles may still be a threat for late-seeded canola, and cabbage seedpod weevils (shown above) have arrived on early-seeded canola in the southwestern Prairies. Earliest crops are starting to flower, which means sclerotinia prediction time. Wet weather and a dense canopy at flowering should encourage higher rates of sclerotinia stem rot infection in regions where the disease has been present in the past. What’s going on the leaf on the right? If weeds and crop are advancing toward the end of the application window and the ground is too soft and wet to support a sprayer, then aerial spraying may be the best economic response. 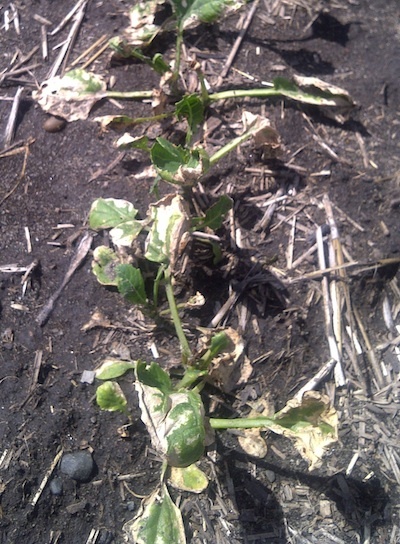 Roundup WeatherMax is the only glyphosate registered for aerial application at this crop stage. Liberty (glufosinate) is registered for aerial application at this stage, as is Centurion. None of the Clearfield herbicide system products is registered for aerial application on Clearfield canola. Poast and Assure II have aerial labels. An in crop application of sulphur can make financial sense for canola if: Growers could not put the desired rate on at seeding. Yield potential improved and growers want to add sulphur to their nitrogen top up. If field conditions have been excessively moist, sulphur may have moved lower in the soil profile. 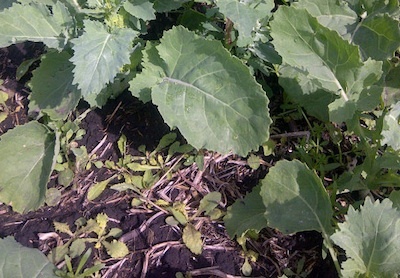 Canola shows signs of sulphur deficiency. Begin sweep netting for cabbage seedpod weevil when canola enters the flowering period. Select 10 locations within each field and at each location, count the number of weevils from ten 180° sweeps. At current prices, the threshold will be around 20-30 per 10 sweeps (2-3 per sweep). Anything below that and the canola plant will generally compensate for seedpod weevil damage to the buds and flowers.